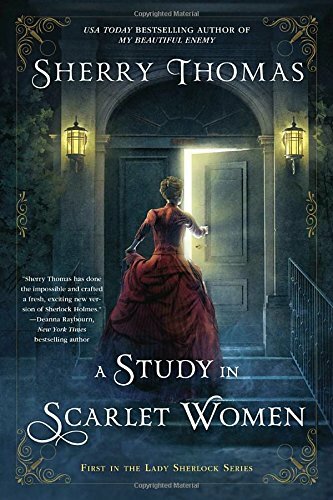 A gender-bent mystery in which the famous, brilliant detective is not Sherlock, but Charlotte, Holmes is not something I knew I wanted, but now that I’ve read it, I want ALL THE SEQUELS. I need more Charlotte and her delightful Mrs. Watson! In this first entry in the series, Charlotte has just irreparably ruined her own reputation—on purpose. 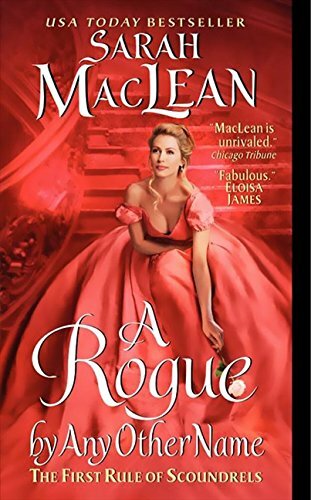 Determined to make a go of life on her own instead of depending on a man, she is looking for a way to earn a living when three people turn up dead, all from the same poison. Charlotte thinks the deaths must be linked, but it won’t be easy for a woman in her position to investigate. If you like your mysteries on the cerebral and genteel side, this is the series you want. Thomas’s writing is just so classy. I tried to come up with a better way to put it, but that’s the word that fits the best. It’s like pretty pastel petit fours lined up in the window of a French bake shop: precise and attractive and sweet. Classy. It’s even more amazing when you consider that English isn’t her first language. That said, it doesn’t make for an easy, breezy read. I actually finished the book and then immediately reread the last third to make sure I had everything right. This is not the kind of book you can snooze through and expect a big payoff. There are a lot of minor characters to keep track of, and they all seem to have complicated relationships with each other. Plot-wise, this book is a tangled web. But I liked Charlotte and her friends so much I was willing to do a bit of unraveling to get my money’s worth. As you would expect from a character based on Sherlock Holmes, Charlotte is pretty complex, and it’s obvious that what we learn about her in this volume is just the tip of the iceberg. I can’t wait to get my hands on book two!